From the first moment you hold a pet, a bond begins to grow. Over the years your pet has become an important member of your family with their own personality and habits. Pet owners usually take great measures to make sure their pet receives regular healthcare, plenty of exercise, grooming, and a balanced diet. In return, the pet offers unconditional love and constant life-long loyal companionship. It’s only natural then for the pet to be thought of as a member of the family. Facing the death of this family member can be very difficult. With the death of a pet, the family often experiences the same grief and sense of loss, as it would be for the “human” members of the family. Parker Kohl Funeral Home has been a family owned funeral home for over 140 years and we are currently in our third generation of family ownership. Over the years we have received countless questions about whether we offer final committal for pets. Now we can proudly answer, YES! With the opening of our new facility, we launched a new service, PK for Pets. As pet owners ourselves, we saw a need for dignified final options for families who have lost a beloved pet. At PK for Pets your pet is placed alone in the cremation chamber. Other facilities offer cremation where multiple pets are placed within the chamber and separated by space; we will NOT offer this type of cremation. 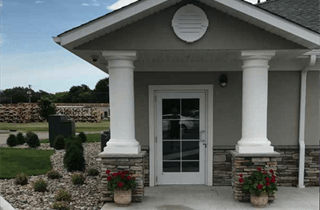 Private cremation is just that – one pet in the cremation unit at a time. This is the only way people are cremated, and it is the only type of service PK for Pets offers. Upon completion, your pet’s cremated remains are removed from the chamber, processed, and placed in a wood urn or you may choose another more personal urn. Your pet’s cremated remains are returned to you within 24 to 48 hours, no waiting a week to ten days for their return to you. PK for Pets is committed to providing veterinarians and pet owners in the surrounding area with the finest, most complete and professional pet aftercare services available.